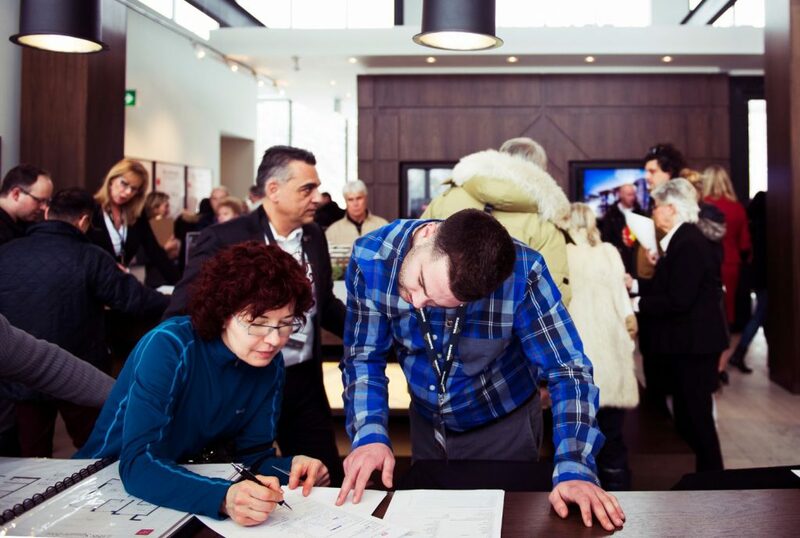 Hundreds of condo-hunters came out to the sales centre and model suite opening of The Craftsman Condominium Residences in Mississauga. Grand opening attendees must have been quite impressed: the project by VANDYK Group of companies is nearly 50 per cent sold already. “The response of our guests was extremely positive when they saw what The Craftsman had to offer,” said Linda Mitchell Young, VP of Sales and Marketing at VANDYK Group of companies. Situated at 1601 Lakeshore Rd. 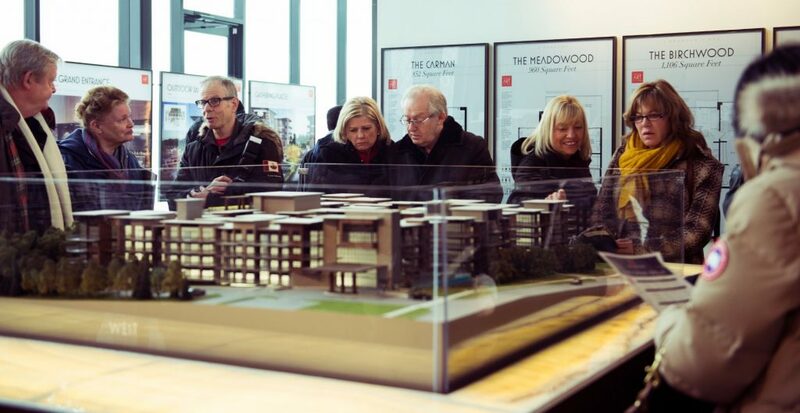 W., the centre shows visitors what it would be like to live in the condo’s Clarkson model. Spanning 1,097 square feet, the suite features two bedrooms on opposite sides of the condo for an added sense of privacy. Residents will enjoy a smart layout with a living space that opens out onto the L-shaped, 295 square foot balcony. This suite features a number of perks including a walk-in closet in the master bedroom as well as a master ensuite and quartz countertops in the kitchens and bathrooms. Each of the 299 units that make up of the project will embrace similar design principles, focusing on classic decor and open-concept layouts. On-site amenities include a fitness and yoga studio plus great spaces for socializing, such as The Clarkson Club and the stunning rooftop terrace. The project itself will be an intimate, four-storey structure, located within the established Clarkson Village neighbourhood. The remaining units start from the low $300,000s. Be sure to visit the sales centre, open Monday to Thursday from noon to 6 pm and weekends from noon to 5 pm. For more information contact 905 823 4044.